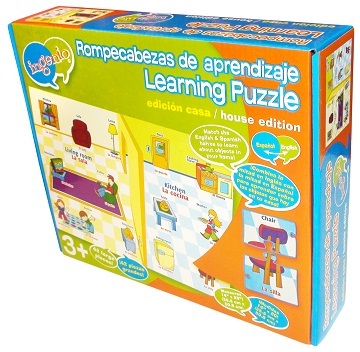 It's a puzzle within a puzzle – Double the fun! 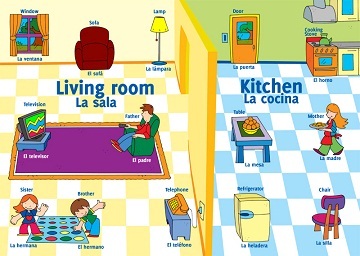 First - Match the English/Spanish words halves to learn about objects in your home. 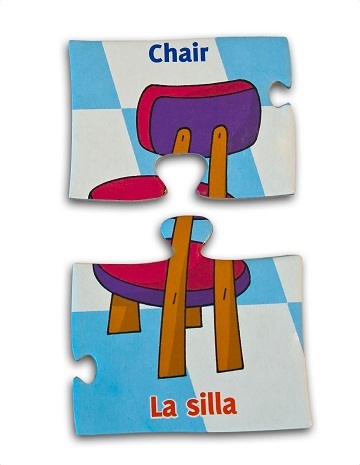 Second - Complete the entire bilingual puzzle and create a house scene. Measures 14" x 20" (35.6 cm x 50.8 cm). Durable and thick pieces store easily in the re-usable box.